Bigfoot, Sasquatch, Yowie, Yeti...the idea that monstrous man-apes lurk in the remote forests and high mountain valleys of the world is an enduring and popular one. Hardly a week goes by without some report of a fresh encounter. 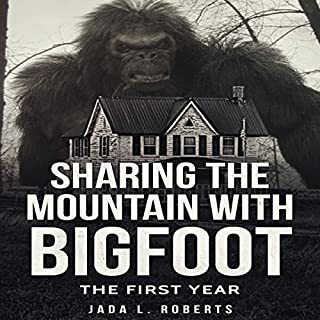 Sharing the Mountain with Bigfoot is a true story of one family's terrorizing encounter with an unknown creature lurking in the woods of the Appalachian Mountains. In this baker's dozen of all new and original stories from Rusty Wilson, the World's Greatest Bigfoot Storyteller, you'll see an Alaska that few see, an Alaska that maybe even fewer want to see, and an Alaska that puts all the other states to shame for mysterious places and happenings, as well as having the highest number per capita of people who go missing without a trace. Bigfoot, also known as Sasquatch, is described as being an ape or hominid-like creature that lives in forested areas, particularly in the Pacific Northwest. Indeed, there are hundreds of new Bigfoot sightings reported each and every year, and not just in the Pacific Northwest. This bizarre, often terrifying creature has been spotted in all corners of the United States, from Washington to the very tips of Florida and Maine. 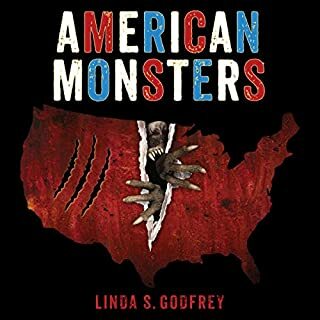 This true story sets out to chronicle the terrifying encounters that a residential family has had with the creature known as Bigfoot. The story is written in Christine's own words as it unfolds. According to the Bigfoot investigator they contacted, "They aren't going anywhere." As the world gets more crowded with us, "They" are left with less and less habitat. They have learned to live in the shadows and pass through the forests by our homes. Ready for some stories about the more mysterious side of Bigfoot by the World's Greatest Bigfoot Story Teller? Turn all the lights on, close the curtains, tie your shoes in case you need to flee, and prepare yourself for some thrills as Rusty brings you 16 all new and original stories. This Bigfoot 18-pack will quench that thirst and make you afraid to go back into the woods. Fly-fishing guide Rusty Wilson spent years collecting these stories from his clients around the campfire, stories guaranteed to scare the pants off you-or make you want to meet the Big Guy! 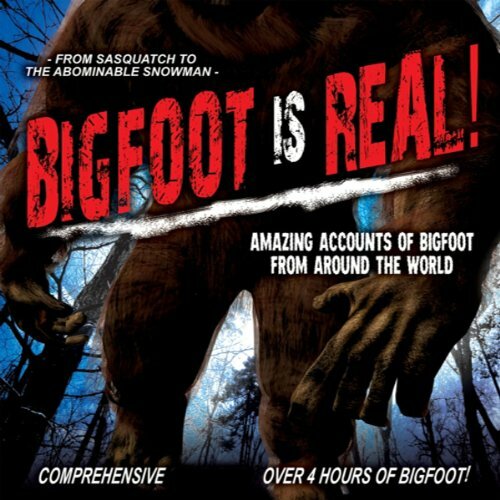 Another great book from Rusty Wilson, Bigfoot expert and storyteller. 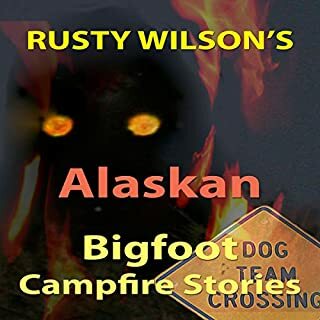 This is the third audiobook in Rusty's collection of Bigfoot Campfire stories, tales for both the Bigfoot believer and those who just enjoy a good story! 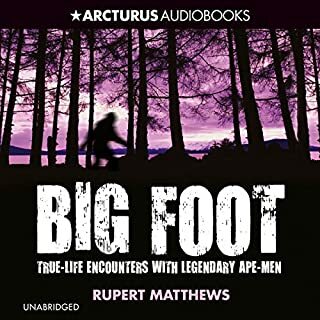 This audiobook is a compilation of three of Rusty's audiobooks ("Ten Intense Bigfoot Campfire Stories," "Six Short Bigfoot Campfire Stories," and "Hairy Trio of Bigfoot Campfire Stories"). Ready for some stories from the vast wilderness of Canada? It's home to the sasquatch: a creature that's revered and feared by the natives there since before time was recorded. Settle back with a cup of hot chocolate, lock the doors, and be ready to call your best friend in case you start seeing big hairy faces in the window (but be aware that your friend may also be listening to these stories, so have a backup plan). A mysterious cave contains a strange book that leads to a quest with an unusual and scary companion. The stakes? An entire species. "It suddenly struck me what an incongruous team we were - a giant hairy Bigfoot, a somewhat broken-down scraggly human, and a small scruffy dog. I was pretty sure the Canadian Border Patrol had never seen the likes of us - and I hoped they never would." 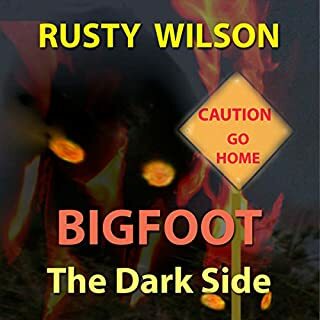 Rusty Wilson is known as the world's greatest Bigfoot storyteller. Join him for a journey you may never forget! Many people across the world believe in an ape-like humanoid creature who is covered with hair and walks on two legs. Those who claim to have seen this creature generally say that he has reddish-brown hair, is approximately seven to 10 feet tall, has a conical-shaped head, emits a powerfully obnoxious stench, and has enormous, human-like feet. In the United States, this creature is known as the Sasquatch or Bigfoot. He is attested to in Native American myths and legends that speak of giants, as well as in eyewitness accounts that predate the birth of the country. Amazing accounts of bigfoot from around the world. Are these eyewitnesses seeing an apparition or is this creature real? Listen to the riveting testimony of those who have encountered the beast first hand and decide for yourself. Bigfoot or Sasquatch attributes from numerous reports include: The smell of a Sasquatch far exceeds that of a bear or other mammals, many cases report an intolerable stench when a Bigfoot is in the area. They vocalize in terrifyingly, high pitched scream like mannerisms, many recordings have surfaced in recent years.They knock trees with branches and logs, reportedly to communicate with each other over long distances. 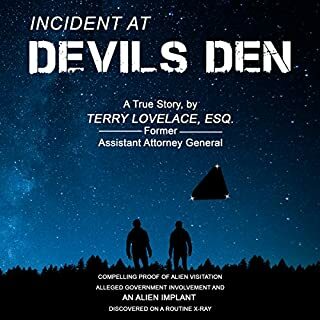 They throw rocks and boulders, there are countless cases with the creature throwing rocks at campers, even boulders from hill tops if disturbed. They live in family units, many cases report the sighting of not one but two or more individuals at a time, often with young in tow.They may have developed a language, many reports tell of a whinnying or gurgling whistle sound associated with their possible speech patterns. They leave very distinct footprints, many of these prints have dermal ridges and other anomalies that rule out a hoax. Is Bigfoot real? You will believe after exploring this fascinating collection. What a rip off. this is just the audio to a YouTube show so it doesn't even sound right. What would have made Bigfoot Is Real! better? Some kind of story line would have been nice. What didn’t you like about Philip Spencer’s performance? Performance is not the problem, lack of content. Would you try another book from O.H. Krill and/or Philip Spencer? I thought the book was very informative , andI verymuch liked the personal storys through out the book, but the background music that was playing in the back of some of the personal accounts made it very hard to listen to what the people were saying. What aspect of Philip Spencer’s performance would you have changed?